To use PropertySets with VisualStudio.Net, first you need to define a property set using the PropertySet define action and choose either Win32 Version Numbers or Win32 Version Info if you want to update the Version Info, and/or .Net Assembly Numbers or .Net Assembly Info if you want to update the Assembly info. 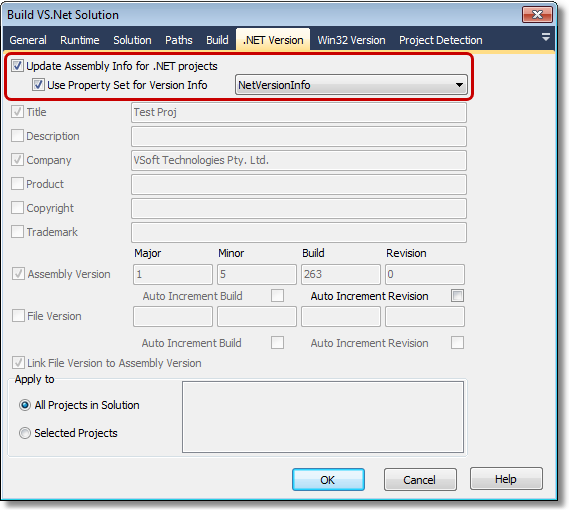 Then in the Build VS.Net Solution action on the Version Info or Assembly Info property page, select "Use property set for version info" and select the PropertySet to use. 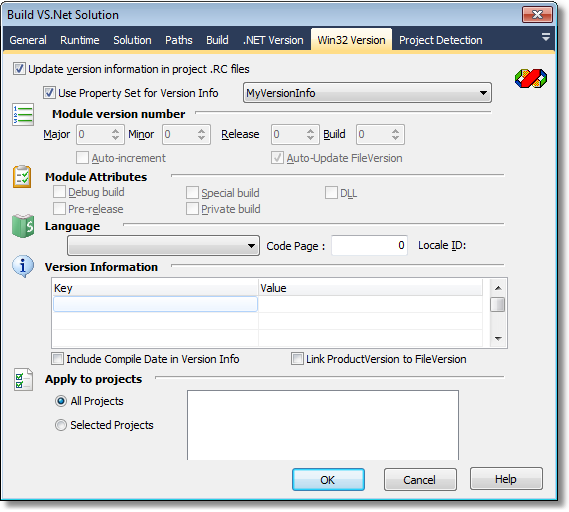 When the PropertySet is chosen, certain UI controls will be disabled as these values will be set automatically using the PropertySet.